ROSCOE, New York -- A pizza shop in Sullivan County, New York, proved that a blizzard couldn't keep them from staying open. 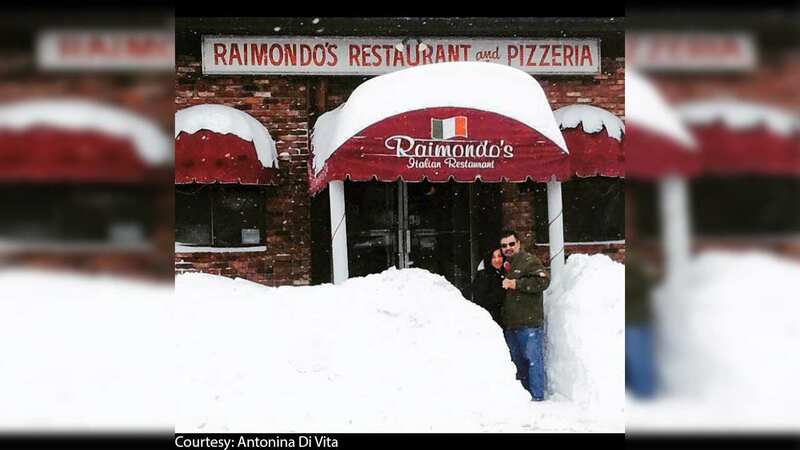 Raimondo's in Roscoe shared a photo showing just how much snow they received. Despite getting about two feet of snow in Tuesday's nor'easter, the restaurant workers persevered and stayed open and continued to make pies. Antonina Di Vita with Raimondo's said: "We were open yesterday despite the inclement weather conditions, although today was much less severe. We have to continue our business as usual and create our original Raimondo's pizza regardless!"